Abaed Al Rhmanhamed Alnawjah otherwise known by everyone in the Southern Hebron Hills as Abet, is our team driver, interpreter, local consultant and friend. Abet has been the team driver for EAPPI since a team was established here in Yatta some three years ago. To tell you about Abet it is essential to also talk about his past and his present including his family, for much of what he is about represents much of what we have encountered and the challenges the people face. What he and his family represents is generosity and compassion under extremely difficult times and circumstances. For those who can recall the Chipmunk songs of the sixties Abet’s name could have easily been Alvin. We share a driveway, actually a rocky divide between our placement and his house. To get his attention we quickly learned from the many people coming to do business with him is to call his name from our balcony, normally about three times, each time getting a little louder. Sooner or later he comes to his balcony and we can get on with the business at hand. Often it results in having a coffee, and for those who haven’t been treated to a coffee in Palestine it is normally served in a small glass, very strong and then maybe a half inch of coffee grounds left on the bottom. In addition to working for EAPPI, Abet is an entrepreneur, selling honey, olive oil and olives from his residence in Susya. Previously a volunteer with a local solar panel producer, Abet would like eventually like a career as an electrician. We share our back yard with his assortment of livestock including sheep and from time to time goats. There is a wide assortment of birds including geese, turkeys and a variety chickens and the roosters. In addition Abet is raising a variety of small birds including budgies and doves for sale. It was on first day in Yatta that I witnessed the compassion and caring nature of Abet in a small way when a small bird died in his hand. He was very traumatized and saddened as he gently put the bird to rest. This was certainly not the last time that Abet’s kindness has shows through for all to see. To see him hold and talk to his three month old son Jud immediately demonstrates how fortunate Jud will be to have Abet there as a father to guide and protect him as he finds a way to live and enjoy life in Palestine. 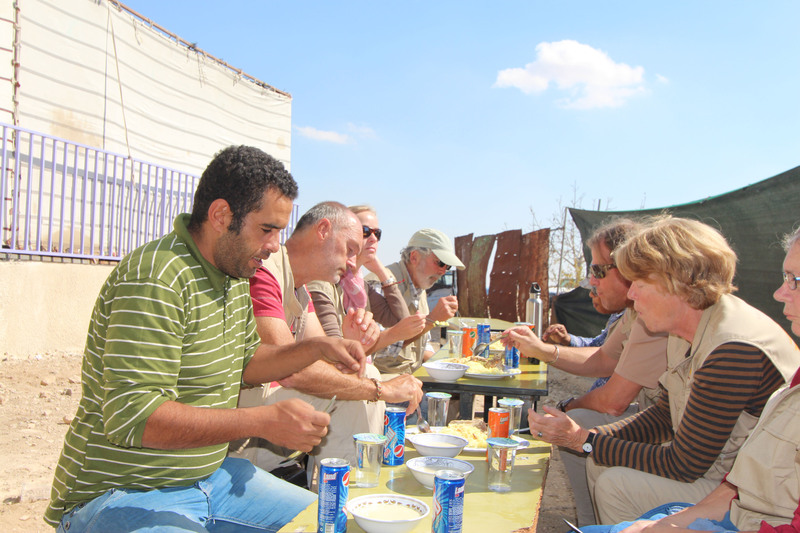 Abet does spend a great deal of his time at his residence in Susya. He shares his residence with his delightful wife , Susan, his three month old son Jud and his mother Zahreh. His mother is a charming lady, always it seems on their balcony, working on a dress or other item, often made of the wool from their sheep. Being the popular and generous individuals they are Abet and his wife are seldom without company, both family and also guests from around the world. I am only beginning to comprehend the extent that Abet and his family give to and support the community. Perhaps no one will ever truly know the extent that this family has supported the community in so very many ways. The houses of Abet and his brothers are the source of constant traffic, the majority of which is seeking support and advice and which is generously given. The extended Alnawjah family is perhaps 4000 people in total. But to deal with Abet’s direct family, his father Mohamed has owned considerable property in the South Hebron Hills area, much of it he has given away to people in need. Abet has four brothers and four sisters. Speaking of the brothers that I have come to know and respect that they spend much of their waking time working for and volunteering for the people and towards a non-violent solution to end the Occupation of Palestine. His brother Nasser works for B’Tselem – The Israeli Information Centre for Human Rights in the Occupied Territories, which in fact just was awarded the Stockholm Human Rights Award. 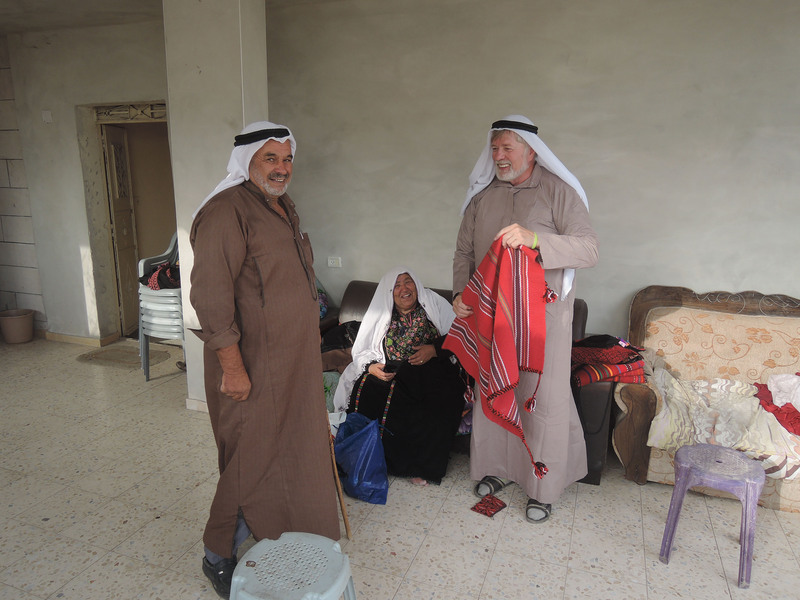 Nasser is constantly on the go as a director for the South Hebron Hills Popular Committee which coordinates the activities of a number of International Volunteers in the area and he is also a local contact for Rabbis for Human Rights. 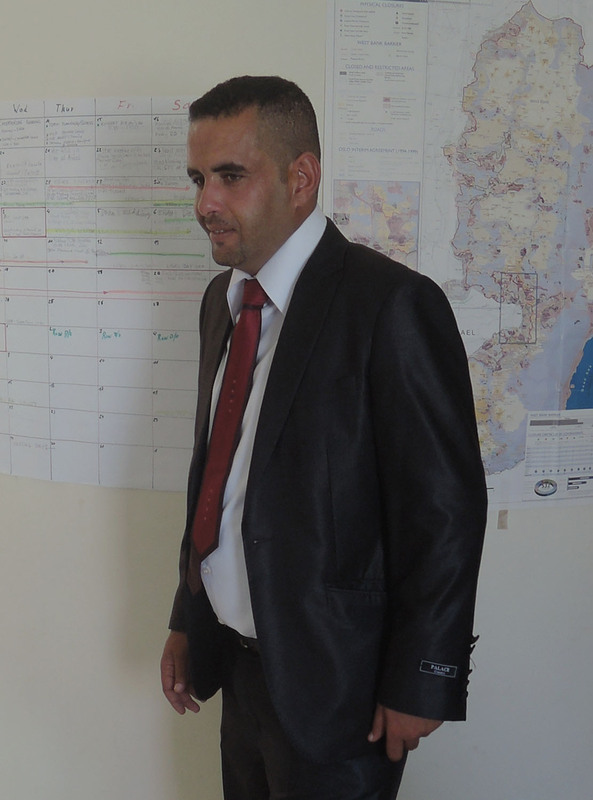 Nasser told us recently that his dream to see peace and for his community of Susya to have normal houses, electricity and the benefits of a normal community. We visited their community on a Muslim holiday recently when a cow was killed, butchered and immediately distributed to not only family but to many in the community in need. 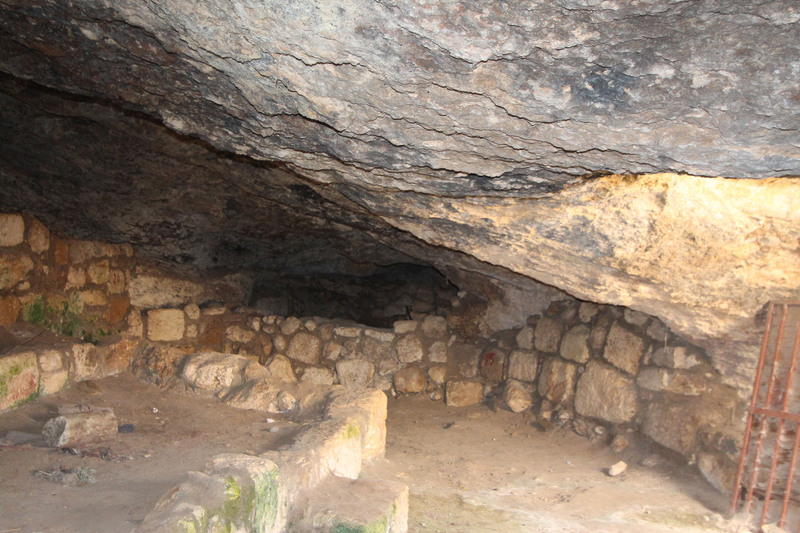 Abet was born in a cave in the community of Susya not far from Yatta. In 1986 the Israeli Government forced all the residents to move from their houses and into tents a short distance away, declaring their home site to be an “Archeological Site”. Subsequent to this a tourist attraction has been established on the sight they were forced to move from by the Israeli Government. Myself and another EA visited the Tourist Attraction a couple of weeks ago and were informed that nobody has lived on this plot of land for over a thousand years since being abandoned by the Jewish community. 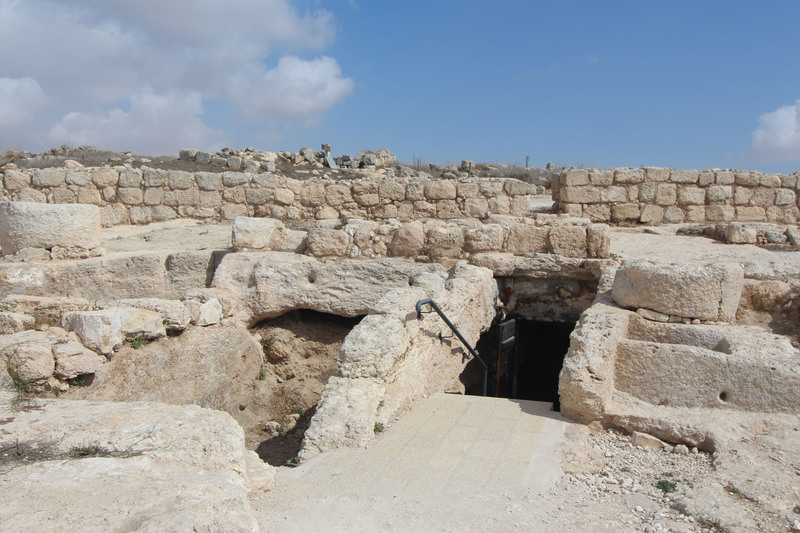 We attempted unsuccessfully to locate and photograph the family cave of the Alnawjah and where Abet was born, though we did find many caves that had obviously served in the distant past as a residence. None of the reference material including two videos we watched in any way acknowledged the fact that Palestians had lived here for centuries up to 1986 when they were forced to leave. There are many web sites offering varying views of the history of Susya. There are in fact four Susya’s at the current time including the community the one Abet’s family have occupied since 1986, the Archeological Site and Tourist Attraction, a Israeli Settlement and outpost and an Israeli Army base. The location where Abet’s family resides consists of an assortment of tents and other structures on cement pads and gravel floors, animal shelters, a small gift outlet and bee houses, fruit and olive trees and pasture land. All of this site, the location where they were moved to after being forced to leave their homes is now under demolition orders and under the threat of imminent destruction by the Israeli Government. When the Israeli Government issues and executes these demolition orders there is no support or options for the families impacted except by International agencies like the UN for example. Where does the Israeli Government expect the displaced individuals to go, to poverty in Yatta for example, to immigrate to another country, who really knows. 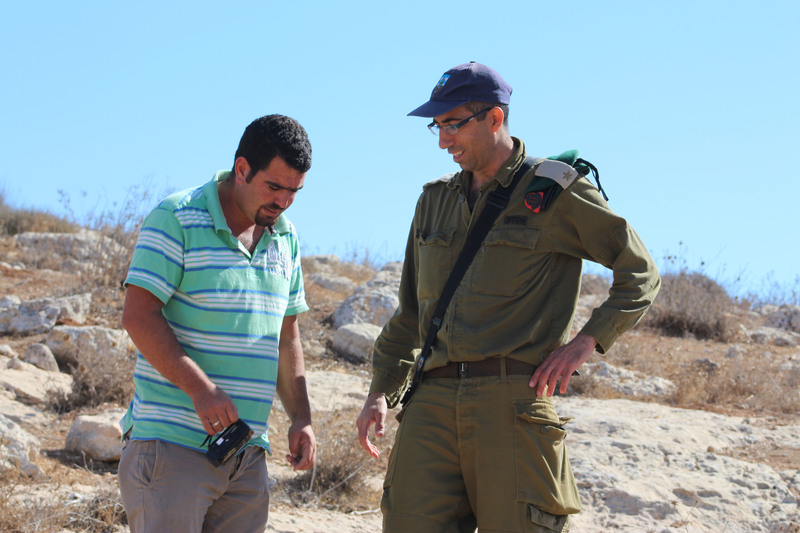 This community is also the recipient of regular Israeli Settler harassment and assaults. Land actions are required to control the constant effort by the settlers to expand the land, their illegal settlement and illegal outpost in order to occupy and to intimidate the Palestians like Abet’s family to vacate the land and their residences so that they can expand even further. To visit the community and the families is almost a surreal experience. Children, domestic birds and animals share the yards while the adults go about their errands and work. This all under the constant surveillance of Israeli Army who stand watching from the hill and the Observation Tower across the valley and adjacent to the Israeli Settlement. They have become accustomed to a dozen or more soldiers standing watching over them as they relax and share their residence, tea and bread with friends and visitors alike. They are regular hosts to International delegations and returning friends alike, all of them made to feel very welcome and comfortable even under the circumstances. Abet and his family truly give their all for peace and for the betterment of the many in need. They do this as kind and caring people, yes Muslims but I can’t help but think also in a way that Jesus taught us, to share and to give to even if it means doing without yourself. It has again reminded me so much that kindness, generosity, the striving for Social Justice and Peace on earth transcends all religions, faiths and people. In the end we all have to realize that we are all God’s children and need to find a way to work, play and live together, to enjoy our differences, not to use them for the purpose of hate and division. Please help to end the Occupation and the oppression of Palestine and its people. Abet and his family truly represent the spirit of the many people who I have the pleasure to share tea and bread with in their houses over the past three months. They do deserve the peace that we all enjoy. Dear Ron, thank you for this posting. Please pass along my warmest greetings to Abed(t)?. He worked with team 39 prior to there being a South Hebron Hills team. The Hebron team spent time in the SHH as well. 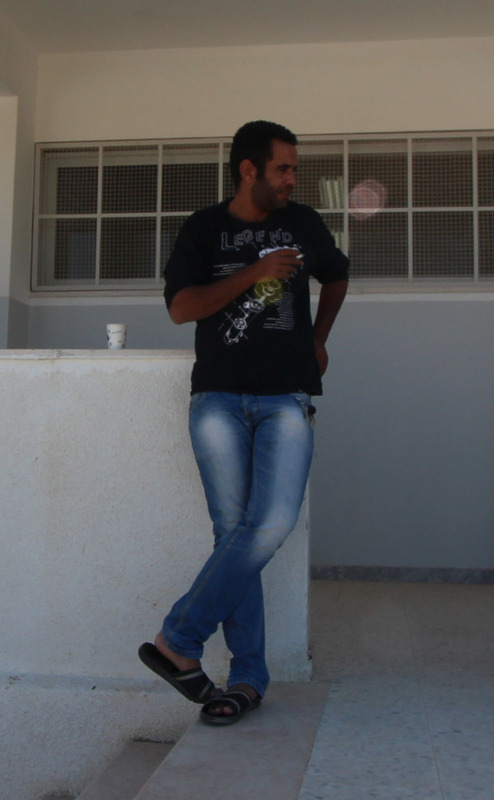 His smile is the same old Abed, and yes, there were days when we were to meet when he was still sleeping. But of course with a family, especially young children, all is different. I hope you are keeping well and that we will have the chance to meet in Canada. I live just outside of Edmonton. Blessings to you, and to all there. Thank you for the response and I will pass on your comments tonight. This is our last night in SHH and we will be having a BBQ at Susya, driven by of course Abet.